This week Kenny and his team have created a fabulous Cosmetics Shop Layout Pack that includes 7 unique layouts. 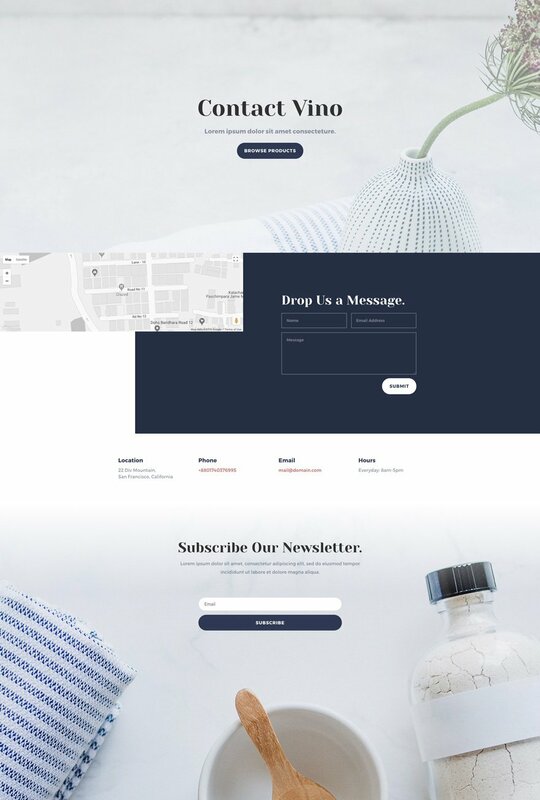 This layout pack looks absolutely stunning, it includes high-quality imagery and focuses on making the shopping experience for your visitors pleasant and easy. 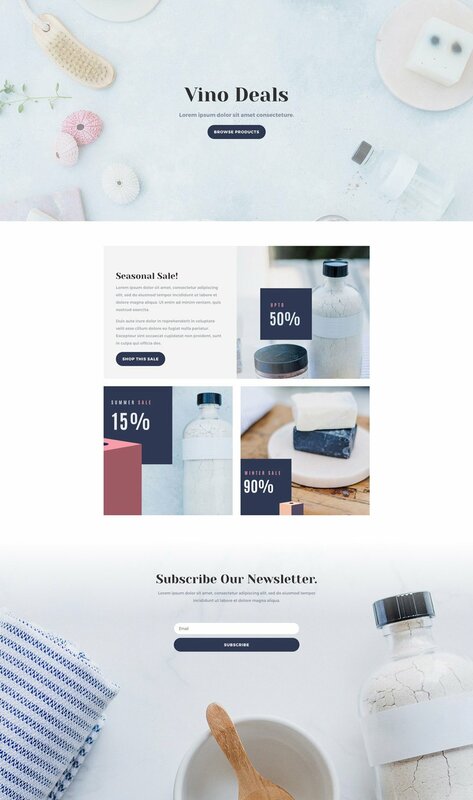 With a shop and sale layout within reach, one of the only things left to do is add the cosmetics products that are unique to your business and website. The Cosmetics Shop Layout Pack contains seven unique layouts that will help you build an online store for your cosmetics shop in just a matter of time. There’s a dedicated shop layout present, and to help put your special deals in the spotlight, there’s a sale layout included as well that’ll undeniably draw your visitors’ attention. 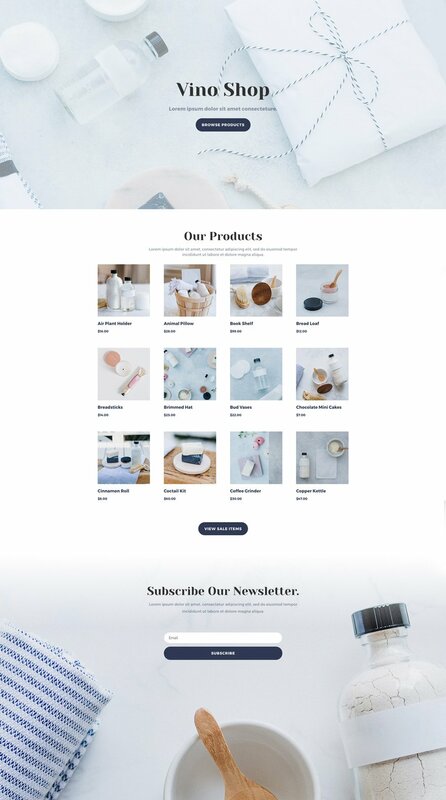 With its stunning color palette, high-quality imagery and exquisite Divi design combinations, this layout pack will help you set up a cosmetics store that is results-oriented and stunning at the same time. To access your new layout, simply activate the Visual Builder when editing a page and look for the “Load From Library” icon in the page settings bar (it looks like a plus symbol). Click this icon to launch the Load From Library popup. Under the Premade Layouts tab, you can easily find the new layout by scrolling through the list of layout packs. Once you find the Cosmetics Shop Layout Pack, click on it. You will see all the individual layouts included in the pack. Select the layout you want for to use and then click the “Use This Layout” button. We hope you enjoy this layout pack. And to help ensure that you do, we’ll be doing a live stream on our Facebook page this Tuesday at 3pm EST to walk through how to add a wishlist for products to the Cosmetics Shop Layout Pack. 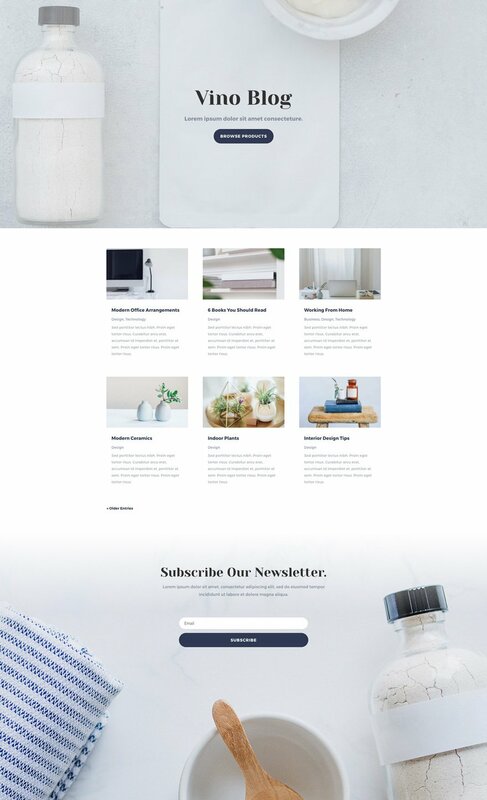 The post Get a FREE & Fabulous Cosmetics Shop Layout Pack appeared first on Elegant Themes Blog.